ORATORIO (AUS) (Bay 2001-Stud 2005). 4 wins-3 at 2, MVRC CS Hayes S., Gr.3. Sire of 352 rnrs, 207 wnrs, 13 SW, inc. Lucky Street (WATC Karrakatta P., Gr.2), Motion Pictures, Clueless Angel, Gold Rocks, Waratah's Secret, Gold Busker, Rafaello, Cadenza, Palace Intruder, Belora, Like an Eagle, Latoria, Trustee Brown, SP Dancing Express, Outlaw Pete, Moet Me, Shades of Rio, Passion Cantata, Indigo Ora, Cuanzo, Fire Born, Coruscation, etc. Chasing Chaos (g. by Oratorio). 5 wins. See below. On Instinct (g. by General Nediym). 3 wins to 1100m in Aust. Everest Bay (f. by Stratum). Winner at 1100m in Aust. I Am Relentless. 2 wins at 900m, 1000m to 2016-17 in Aust. OBSESSION - SUPER RACER (Sing.) (Last Tycoon). 8 wins-1 at 2-at 1100m, 1200m, A$52,470, S$519,078, Singapore TC Lion City Cup, Sgp-1, Class 1 H., STC Rondo Building Systems 2YO H., Singapore TC Class 2 H., Royal Turf Club of Thailand Trophy, Benchmark 97 H.-twice, Benchmark 81 H., 2d AJC Breeders' P., L, Singapore TC Benchmark 97 H., Class 5 H., 3d BTC Tommy Smith Slipper S., L, Singapore TC Class 1 H., STC McCain Foods H., Singapore TC Benchmark 83 H., Class 4 H.
Lungarno (Barathea). 6 wins. See above. Hussler. 4 wins to 1400m, HK$2,762,500, HKJC Elm H., Li Cup, LG H., Long Ke H., 2d HKJC Perfect Pearl Collection H., Asian Million Star H., Mirs Bay H., 3d HKJC Man Cheung H., Meteor Garden H., Sustainability H., Lark H.
Sivarai. 8 wins from 1200m to 1800m in Aust. and Macau, 3d Macau Bundarra H., Watford H.
Opening Bid. Winner at 1200m in Aust. Sabre Jet - Fat Boy (Sing.). 6 wins from 900m to 1700m in Aust. and Singapore, Singapore TC Panasonic IP Telephony S., Tuxedo Moon H., Class 4 H.-3 times, 2d Singapore TC Singapore Airlines A380 New York S., 3d Singapore TC Kranji D S.
Singa's Lady. 2 wins at 1200m, 1800m in Aust. Santa Mari. Winner at 1000m in Korea. Incredible General. Winner at 2000m in Malaysia. Topiary. 4 wins at 2100m, 2150m, TRC Betfair P., TTC Search Engine Marketing H., Carlton Draught P., 2d TTC Sign Elements P.
Purrstring. 2 wins at 1450m, 1800m, 2d ATC Become an ATC Sponsor H.
Been Perfect. 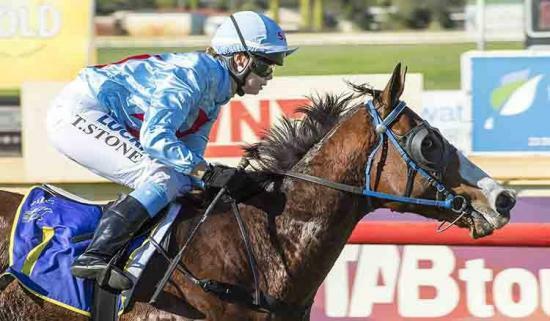 Winner at 900m in Aust. Lovey (At Talaq). 6 wins. See above. Loving Double. 7 wins from 1400m to 2400m, 3d SAJC Big Philou H., 4th Murray Bridge Gold Cup, L.
King's Bid. 6 wins from 1400m to 2000m in Malaysia, Selangor TC Class 1 H.
Ring the Dancer. 2 wins-1 at 2-at 1400m, 2000m, WRC Porirua Club Life Members H., 2d Manawatu RC Ezibuy H., 3d Marton JC Fayette Park 3YO S.
Tycoon Rose. 8 wins from 1200m to 1600m, A$192,773, BTC Vitanza Tyres H., QTC Norris Motors Group H., 2d BTC Acis H., Lexus RX350 H., Qld Tatt's RC Hardy Brothers Jewellers H., QTC Seppelt Wine H., SCTC XXXX H.-twice, 3d BTC Stan England Painting Contractor H., Phantom Screens H., Mater Health Services H., QTC Super Mine H., 97.3FM H.
Natural Echo. 6 wins from 1800m to 2200m, HK$2,676,050, HKJC Xian H., Morse H., Yim Tin Tsai H., Poison Ivy H., Yunnan H., Yau Oi H., 2d HKJC Bank Street H., Tate's Cairn H., Shek Tong Tsui H., Grass Island H., 3d HKJC Tin Lok H., Shek O H.
Tumbler Lad. 3 wins-2 at 2-at 1000m, VATC Devonshire H.
Race Record: 33 Starts 5-7-6 A$149,445. 5 wins to 1400m, A$149,445, to 2015-16, WATC Belmont Park Tickets H., 2d WATC Del Basso Smallgoods H., Westspeed H., Vale J B Bart Cummings H., Irish Race Day 10th October H., Tabtouch H., 3d WATC Race Replays Now Free H., Westspeed H.